EuropeTravel - Plus Insurance offers comprehensive insurance coverage to non-U.S. citizens traveling to Schengen countries. This plan meets and exceeds the insurance requirements needed to obtain a Schengen visa, while also providing the necessary coverage in one single plan. EuropeTravel - Plus provides coverage across Europe for trips lasting anywhere from 5 to 180 days. If you’re traveling to Europe, EuropeTravel - Plus is the plan for you. Not only does the plan satisfy all insurance requirements for the Schengen Visa, with a minimum coverage amount of $50,000, coverage up to 90 days and a $0 deductible option available, it also provides the necessary coverage you will need while traveling throughout Europe. Coverage for theft of personal property, terrorism and emergency evacuation coverage and medical treatment are all of utmost importance for travelers to Europe, and EuropeTravel - Plus can provide all these benefits and more. With EuropeTravel - Plus, all travelers to Europe can explore confidently knowing they are covered. 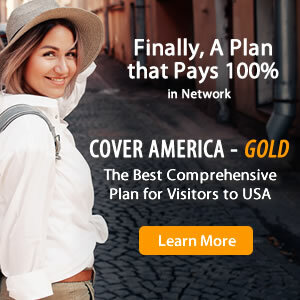 EuropeTravel - Plus is an ideal plan for non-US citizens traveling to Europe. Providing comprehensive coverage throughout Europe, this plan also satisfies all the necessary insurance requirements for the Schengen visa. In addition, EuropeTravel - Plus can provide other necessary coverage for travelers to Europe including emergency evacuation and repatriation benefits, coverage for theft of personal property and medical treatment. If you’re traveling to Europe, this plan is for you. How to Buy EuropeTravel - Plus Insurance?